Meet Anna Bohn, a Groundswell alumna who was working as a freelance communication designer when she enrolled in Groundswell’s Explore and Build programs in 2016. Anna graduated from Emily Carr with a Communication Design degree several years earlier, and although art school won out over getting a degree in environmental conservation, she still wanted to bridge her passions and contribute to society in a meaningful way. Anna Bohn is a local Vancouverite, who grew up on the North Shore mountains. Her family was always hiking, camping and backpacking, and she came by her love of nature honestly. While in Emily Carr University’s Communication Design program, she learned about design's role in influencing behaviour. Inspired, she developed an app that scans a product barcode and produces an instant health, social, and environmental rating. It won the top award in her graduating class. Following work in creative agencies in Vancouver and Montreal, Anna backpacked across Asia—once finding herself in a polluted factory town by mistake. Awestruck, she was determined to apply her skills to environmental challenges. In 2016, she entered the Groundswell program with that goal in mind. “I was encouraged out of my comfort zone in Groundswell’s Build program, and was connected to a network of amazing people. From Groundswell I gained exposure and aligned myself with established brands, which led to me submitted an essay to an MIT contest called ‘Shifting Behaviour for a Changing Climate’. It called for a different communication strategy: one that avoided tactics built on guilt and fear. My submission placed 5th. Lucky for me, the top 5 finalists were invited to MIT to attend their annual Crowds and Climate conference, and I got a chance to speak on this topic. Then, I headed home and started my own creative agency: Etho Studio” Anna Bohn. Since 2017, Etho Studio has grown to employ 3 full-time designers out of their office in Gastown’s Dominion Building. They have a wide range of clients from San Francisco, San Diego, Victoria, and Vancouver, with the largest being Concord Pacific—and recently branded their latest green development, Quantum Park. This is how Anna made the journey to Groundswell and beyond. 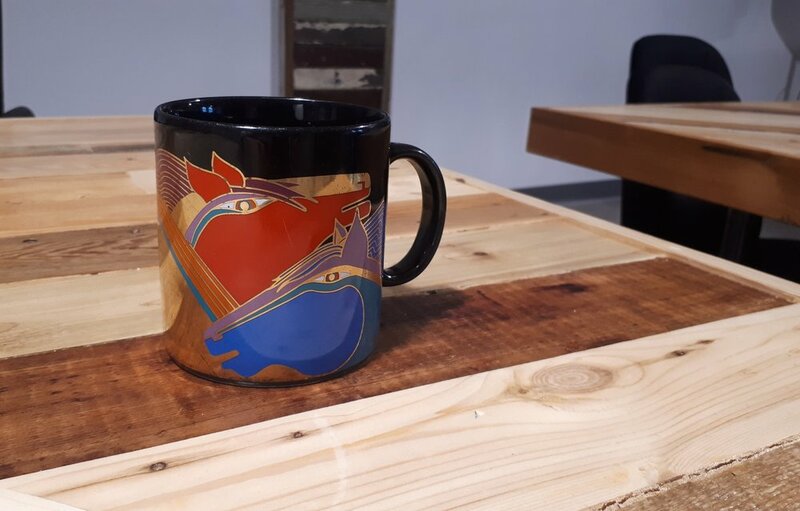 She’s an active member of Groundswell’s alumni community who regularly visits the Clubhouse for mentorship or to deliver branding and design workshops to new cohorts, enjoying a tea from her favourite mug.